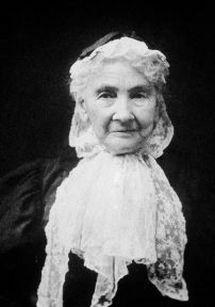 The Connecticut Junior Republic was established in 1904, through the vision and generosity of Litchfield resident, Mary T. Buel. Miss Buel bequeathed her Litchfield property of approximately 150 acres, her homestead and $5,000 to establish a special place to help wayward, at-risk and disadvantaged boys — the Connecticut Junior Republic (CJR). Consistent with Miss Buel’s vision, the Junior Republic has provided care, treatment, education and opportunity for thousands of children since that time. Today, the organization offers a full continuum of care through a broad spectrum of residential, education, community and home-based services. Three residential programs, as well as the Cable Academic and Vocational Education Center (CAVEC) for boys and the Michael P. Mortara Family Center, which serves as the administrative site for CJR’s Wellness Center Programs, are located on CJR’s original Litchfield campus. A therapeutic group home for boys was opened in Winchester in 2007. CJR’s first community-based program opened in Waterbury in 1989 and moved three times to accommodate rapid growth. In 2017, CJR purchased the site of its current Waterbury program, and renovated both the main building and carriage house on the property extensively during 2018. Over the years, CJR has opened additional community-based programs, including Danbury in 2004; East Hartford and Torrington in 2009; Meriden and New Britain in 2010; and New London in 2019. CJR’s community-based programs provide a broad array of services, and are designed to treat children, youth and families in their homes, schools and communities. Additionally, CJR's education services expanded in 2017 with the opening of the Cable Academic and Vocational Education Center's Bristol location for girls. The Junior Republic's 150-acre Litchfield campus continues to offer a unique therapeutic and educational environment, which includes a working farm; acres of agricultural fields and woodlands; the Bertha Wheeler Gymnasium and Pool Complex; and the D’Assern Dining Center. The Litchfield campus also includes playing fields; a stocked pond fed by the Bantam River; and spacious and attractive grounds which are also enjoyed by youth from CJR’s community programs during summer and after-school programs.